The art of highlighting your face to enhance a particular feature like the nose or cheeks has never been easier or more on trend. 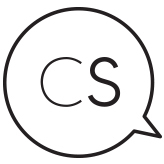 But, with so many different types of highlighting products (liquid, stick or powder) available, how do you know which one works best for your skin? Figuring out the difference between them and choosing the right product will help you achieve your best sparkle! Liquid highlighters are the most versatile. Liquid-based highlighters can easily mix with foundation creams, moisturizer or blush. This type of highlighter works best for those with dry skin because it can help moisturize for hours and give you that dewy finish. If you’re like me and have oily skin, this type of highlighter can be problematic as the product can become or look greasy. 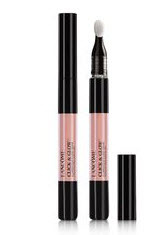 Lancôme CLICK & GLOW LIQUID HIGHLIGHTER Retails for $34. Totally user-friendly! Stick highlighters can be easily applied and blended with your fingers – perfect for all skill levels. Sticks tend to give that more natural highlight- no dewy finish just an iridescent glow – and they tend to stay on longer. 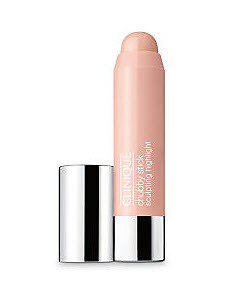 Clinique Chubby Stick™ Sculpting Highlight. Retails for $27.99. Powders have the most variety when it comes to shades and work well with all skin types (dry, oily or mixed) and tones. Powders provide a more precise look and meant to be used on the high points of the face. However, powders also have the most concentrate, so it’s easy to overdo it. When using a powder highlighter, it’s best to use a highlighting brush. 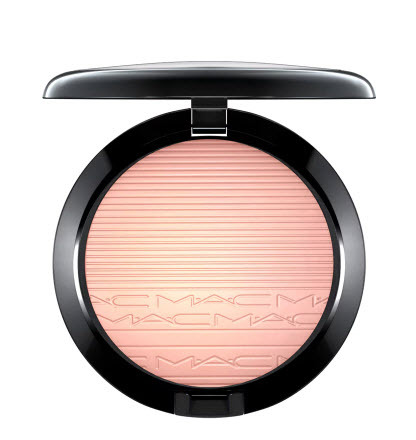 MAC BEAMING BLUSH Retails for $38. Do you have a preference when it comes to face highlighters? Tell us in the comments below.